Whether you believe in ghosts or not, there's no denying that New England is steeped in history, legends, and folklore. In fact, it's one of my favorite things about the area. That is also my favorite thing about haunted locations. I once heard a quote that went something along the lines of, "ghosts are history begging to be remembered" and it just stuck with me because it's true. When we tell ghost stories, we are remembering the past and the people who are gone. These stories add a layer of color and mystery to our lives and that is why I adore them so much. So I put together the stories of 5 hotels and inns across New England perfect to tell at this time of year. I've wanted to visit this luxurious hotel nestled in the White Mountains for as long as I can remember. It was built in 1902 by New Hampshire native, Joeseph Stickney. He died a year later in 1903, making his wife Carolyn a widow and leaving her to wander the property alone. 11 years later she became a princess when she remarried a French prince. She lived with him until his death and then moved back to the hotel and has apparently never left. The legend goes that both staff and guests have seen her looking over the balcony of the hotel and descending the stairs. Her private suite, room 314, is also said to be a hotspot for paranormal activity. The handcrafted four-poster bed in this room is the very one she shared with her husband. Guests have reported waking up to see her sitting on the end of the bed brushing her hair, seeing an imprint as if someone was laying on the bed when there was no one there, or feeling the bed shift as if someone sat down on it. 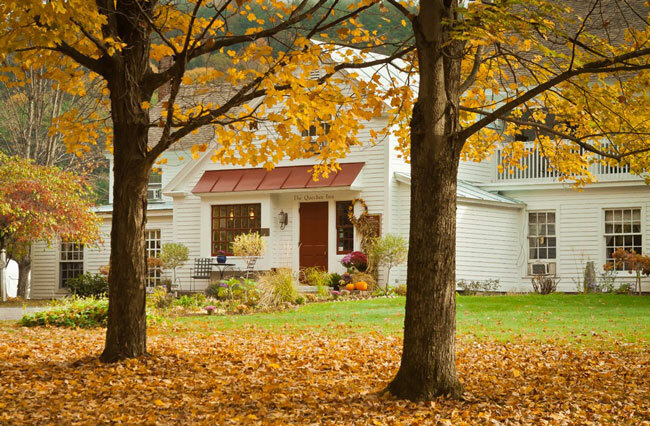 The Kennebunk Inn was built in 1799 as a private residence. It was converted into a hotel called "The Tavern" in 1928 and a 2.5 story wing was added creating 50 guest rooms. 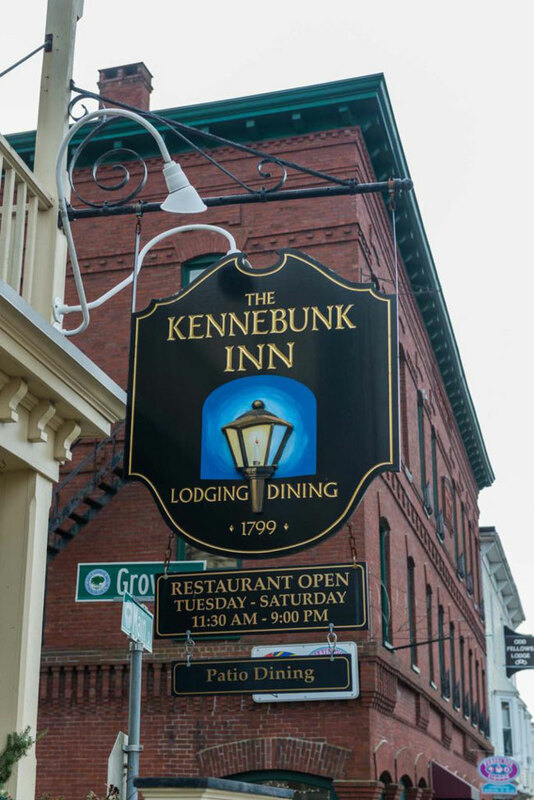 In the late 30's the name was changed to The Kennebunk Inn. Rumor goes that one of the inn's clerks, Silas Perkins, who passed away in the mid-twentieth century continues to inhabit his former place of employment. Falling and flying wine glasses, along with other objects are said to be a sign of his presence. Built in 1925 this hotel is located in the heart of Salem, Massachusetts. I've never been inside, but have walked by it many times on my day trips. 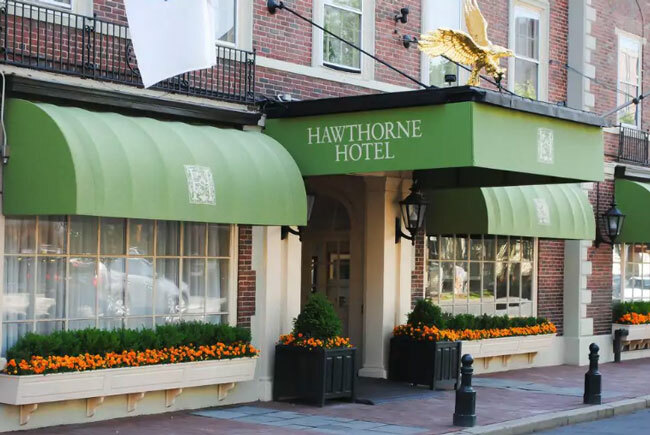 With a colorful history dating back to the infamous Salem Witch Trials, it's no surprise that there are rumors of the Hawthorne Hotel being haunted. One of the first women to be executed during the Witch Trials owned an apple orchard where the hotel now stands. Another fun piece of history: on October 30, 1990, a séance was held in the Grand Ballroom in hopes of summoning Harry Houdini on the 64th anniversary of his death. However, it was unsuccessful. The apparition of a woman has been seen wandering the hallway and pausing outside room 612. Guests who have stayed in the room have reported the feeling of being watched as if they were sharing it with an unseen person. There have also been reports of faucets turning themselves on and off, unusual sounds with no apparent source, and the feeling of being touched. The Quechee Inn was built in 1793 and purchased by Quechee Lakes Corporation in 1968 along with approximately four hundred acres of land. One of the spirits residing at the inn is thought to be a woman named Mary. A bride staying at the inn for her honeymoon told of seeing her and experiencing severe headaches. She described Mary as being from the 1830's or 40's, being very sad, and at one time locked in room 6. There is another ghost story about the room directly above room 6. Apparently, a couple staying in the room woke up to see an elderly couple staring down at them, who were later identified as John and Jane Porter, former owners of the farm. 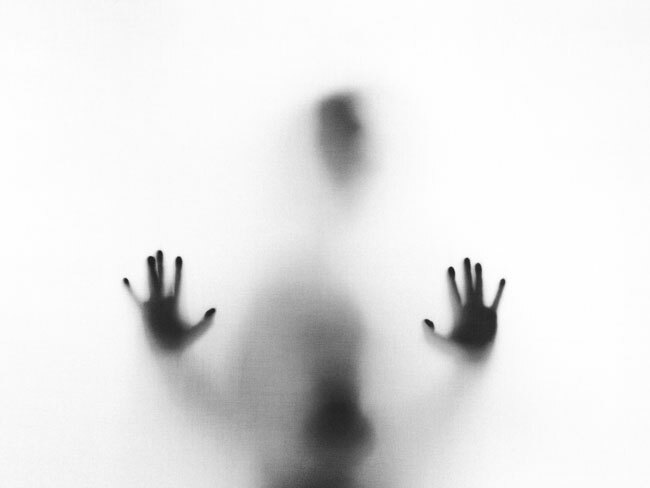 There are many other stories about Jane haunting the property and several that have not been attributed to a particular spirit including the feeling of being watched, encounters with unidentified apparitions in empty hallways, objects moving on their own, and disembodied footsteps. Have you stayed at any of these or heard these stories? Let me know down in the comments! I hadn't heard of any of these haunted places- how spooky and fun! Thanks Ashley! So happy you enjoyed it! 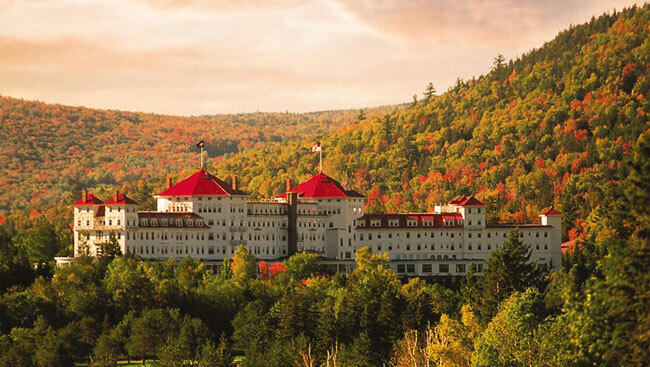 Though I don't celebrate Halloween, I appreciate the beauty of these places, especially the Omni Mount Washington, gorgeous!! !